NISSAN ELGRAND E50 PASSENGER NEAR SIDE OUTER BOOT REAR LIGHT 1997 - 2001 . Very easy to fit the new button pad, just open the existing key case and replace the button pad. NISSAN ELGRAND E51 2004 - 2010. THIS IS FOR SERIES 2 ELGRAND E51 FACELIFT FROM 2004 - 2010. This is for a Nissan Elgrand E51, from a Japanese imported car. DRIVER SIDE FACELIFT XENON AFS HEADLIGHT COMPLETE. Give your Nissan Elgrand the LED lighting it deserves. Remove your existing bulbs & replace with your new LED bulbs. In good condition and working order. REMOVED FROM A 2003 E51 NISSAN ELGRAND HIGHWAY STAR. NISSAN ELGRAND E51 2003. REMOVED FROM A 2003 E51 NISSAN ELGRAND HIGHWAY STAR. NISSAN ELGRAND E50 PASSENGER HEADLIGHT 1997 - 2001. In VERY good condition. WE HAVE THOUSANDS OF PARTS ON THE SHELF READY FOR DISPATCH. ELGRAND 2004 -2008 Mk2 E51 Right Headlight XENON (face lift) without HID ballast. NISSAN ELGRAND 2005. Make / ModelNISSAN ELGRAND. On average these parts have covered 30,000 miles. NISSAN ELGRAND E51. This is for a Nissan Elgrand E51, from a Japanese imported car. XENON HEADLIGHT BALLAST. I will reply back as soon as possible. - TESTED AND WORKING BEFORE REMOVAL. THIS IS FOR SERIES 2 ELGRAND E51 FACELIFT FROM 2004 - 2010 WITH LED REAR LIGHT. This is for a Nissan Elgrand E51, from a Japanese imported car. I will reply back as soon as possible. NISSAN ELGRAND E51 2005. GENUINE COMPLETE PASSENGER SIDE XENON HEADLIGHT. SO WE CAN TRY TO RESOLVE BEFORE IT GETS TO THAT POINT. IV / HS / KA / KW / PA / PH / ZE / TR26 / TR27 / BT / IM / GY / JE / BF. Left passenger side hid headlight complete with ballast. (AS SEEN IN PIC ) IN GOOD WORKING. GOOD CONDITION. REMOVED FROM A 2003 E51 ELGRAND. NISSAN ELGRAND E50 PASSENGER HEADLIGHT 1997 - 2001. In good condition and full working order. 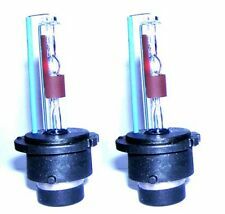 ELGRAND 2002 -2004 Mk2 E51 Right Headlight XENON (Pre face lift) without HID ballast. NISSSAN ELGRAND 2003. Make / ModelNISSAN ELGRAND. On average these parts have covered 30,000 miles. NIPPON AUTO SPARES LTD.
NISSAN ELGRAND E50. - WILL FIT E50 ELGRAND 1997 - 2001. PASSENGER LEFT NEAR SIDE HEADLIGHT COMPLETE. I will reply back as soon as possible. (AS SEEN IN PIC ) IN GOOD WORKING. REMOVED FROM A 2002 E51 ELGRAND. Elgrand 2004 -2008 MK2 E51 derecho faros xenón (lifting facial) sin el lastre HID. Nissan Elgrand 2005. Condition and Options Mk2 E51 FACE LIFT. Model ELGRAND. Garantía y Devolución. USED ITEM IN EXCELLENT CONDITION. TESTED BEFORE REMOVAL. IMPORTED FROM JAPAN. NISSAN ELGRAND E51. This is for a Nissan Elgrand E51, from a Japanese imported car. LEFT PASSENGER NEAR SIDE UPPER REAR LIGHT. GOOD CONDITION. A FEW LIGHT SCRATCHES, SEE CLOSE UP. Elgrand 2002 -2004 MK2 E51 derecho faros xenón (Pre lifting) sin el lastre HID. NISSSAN ELGRAND 2003. Condition and Options Mk2 E51 PRE FACE LIFT. Model ELGRAND. Sitio Web Garantía y Devolución. NISSAN ELGRAND E51 2005. 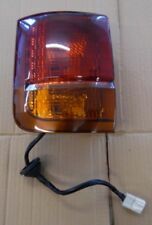 GENUINE COMPLETE DRIVER SIDE REAR UPPER LIGHT. Most electronic components require programming after installation. SO WE CAN TRY TO RESOLVE BEFORE IT GETS TO THAT POINT. BEFORE you commit to buy –. ELGRAND 2002 -2004 Mk2 E51 PRE FACE LIFT Left Rear Light. ELGRAND 2004. Make / ModelNISSAN ELGRAND. On average these parts have covered 30,000 miles. Part also fits. ELGRAND 2002 -2004 Mk2 E51 PRE FACE LIFT Right Rear Light. NISSAN ELGRAND 2002. Make / ModelNISSAN ELGRAND. On average these parts have covered 30,000 miles. Part also fits. Elgrand 2002 -2004 ELEVACIÓN de cara de PRE MK2 E51 izquierda trasera ligera. Condition and Options Mk2 E51 PRE FACE LIFT. Model ELGRAND. Garantía y Devolución. NISSAN ELGRAND E50 97-01. We are always happy to help; we are car enthusiasts first and foremost! Based Exeter, Devon. we will do all we can to ensure you get the OEM parts you want, at an unbeatable price. We are always happy to help; we are car enthusiasts first and foremost! Based Exeter, Devon. we will do all we can to ensure you get the OEM parts you want, at an unbeatable price. We also promise to do all we can when you encounter problems; all you have to do is to ensure that you are buying the correct part from us. WE HAVE THOUSANDS OF PARTS ON THE SHELF READY FOR DISPATCH. In VERY good condition. Nissan Elgrand E50 controladores de lado interior del Portón Trasero Arranque Luz Trasera 1997 - 2001. NISSAN ELGRAND E50 DRIVERS INNER TAILGATE LIGHT. WE HAVE THOUSANDS OF PARTS ON THE SHELF READY FOR DISPATCH. This is for a Nissan Elgrand E51. NISSAN ELGRAND E50 PASSENGER INNER TAILGATE LIGHT. In good condition and working order. 2011 NISSAN ELGRAND L Taillight. This item has been removed from a: 2011 NISSAN ELGRAND. Model: ELGRAND. Body Style: MPV. Part Type: L Taillight. Vehicle Colour: White. Make: NISSAN. Door: 5 Door. NISSAN ELGRAND E50 97-01 drivers headlight. We are always happy to help; we are car enthusiasts first and foremost! Based Exeter, Devon. we will do all we can to ensure you get the OEM parts you want, at an unbeatable price. Nissan Elgrand E51(2002-04) - rear light trim, cover, surround, right, driver side (UK) in white/cream. Pictures will be of the exact item listed. For Sale is an O/S Drivers Right Rear Taillight Tail Light. Part Number: Not visible. Removed from a 1999 NISSAN ELGRAND 5 Door Van. ELGRAND 1996 -2002 Mk1 E50. Car Colour Silver. Speed Automatic. Drive Side RHD. THIS IS FOR SERIES 2 ELGRAND E51 FACELIFT FROM 2004 - 2010. This is for a Nissan Elgrand E51, from a Japanese imported car. I will reply back as soon as possible. - GENUINE ITEM, NOT COPY. 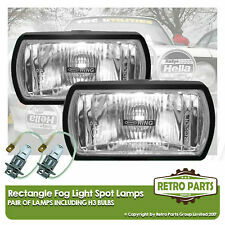 $'); } --> you are bidding on Nissan elgrand ne51 holgen Headlight lright driver side IN GOOD CONDITION ALL MOUNTING POINTS ARE ATTACHED (AS SEEN IN PHOTO) we ship worldwide ALL ITEMS ARE TRACK ABLE DELIVER TIMES TO EUROPEON UNION 7 TO 10 DAY USA DELIVERED 7 DAY terms and condtion of sale only refund item cost no post cost refunded all item have security marks these must be visilbe on return goods otherwise gurantee is void FURTHER INFO YOU CAN RING ME ON 07950471748 ALL ITEMS MUST BE BROUGHT THROUGH EBAY THIS IS EBAY POLICY >. Elgrand 2002 -2004 MK2 E51 PRE cara elevación trasera luz. Nissan Elgrand 2002. Condition and Options Mk2 E51 PRE FACE LIFT. Model ELGRAND. Garantía y Devolución. Nissan Elgrand E50 Controlador De Lado Derecho Luz Trasera De Arranque Exterior 1997 - 2001. NISSAN ELGRAND E50 DRIVERS OFF SIDE RIGHT OUTER TAILGATE LIGHT. WE HAVE THOUSANDS OF PARTS ON THE SHELF READY FOR DISPATCH. Nissan Elgrand 1997-1999 3150cc Diesel all parts available . USED OFF SIDE FRONT INDICATOR IN GOOD CONDITION.